At Cascades Tissue’s manufacturing facility in Rockingham, North Carolina, two workers wielding ceramic knives trim the outermost sheets from a massive roll of tissue paper. 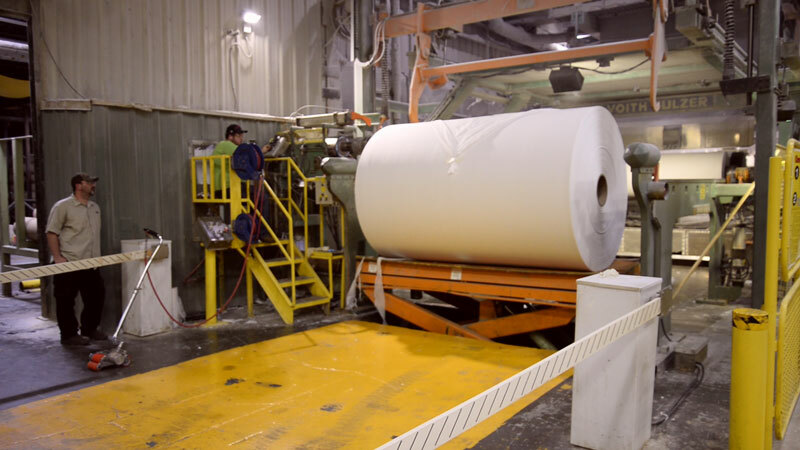 This roll, like most of Cascades’ products, was manufactured using recycled paper, and is destined to become tissue, towels or napkins for the “away-from-home” market. One of the workers nudges the roll onto a nearby conveyor belt using a hand truck, then deftly steps away. In an environment like this one, it’s easy to see how 2.8 million Americans sustained non-fatal workplace injuries in 2015, with an average of 1.2 cases per 100 full time workers in the manufacturing industry. Cascades, however, defies these odds; this facility hasn’t had a reportable injury in 755 days and counting. “When I first got in this industry 20-some years ago, the first person’s hand I shook, he was missing a limb,” recalls Mickey Lee, the plant manager of Cascades Tissue’s Rockingham plant. According to OSHA’s “$afety Pays” program, that kind of injury carries more than $73,000 in indirect costs; a company would need to generate nearly $2.5 million in sales to cover them. The cost to the person suffering the injury, or course, is incalculable. 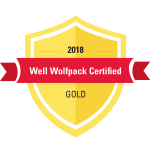 Cascades has partnered with NC State Industry Expansion Solutions (IES) to design and enact repeatable safety procedures that employees will both remember and be empowered to apply during daily operations. Hands-on exercises like role playing and reenactments, where employees can apply their safety knowledge to imagined hazard situations, have been instrumental in creating knowledge that sticks. Cascades also uses “secret shoppers”—employees who intentionally simulate mistakes that could result in accidents—on the facility floor. Lee admits that he was at first skeptical of the effectiveness of such a program. He didn’t really believe that a simple framed certificate and a prime parking spot for the “Safety Employee of the Month” would be powerful enough motivators to affect the safety culture at Cascades. Now, he is pleased to admit that he was mistaken. “To my surprise, it’s been a big hit in our mill,” he says. Employee engagement at Cascades Rockingham, as measured by its most recent Hewitt survey, is a whopping 74 percent; the national average is less than 34 percent, according to a recent Gallup poll. According to Gallup, organizations in the top quarter, as opposed to the bottom quarter, enjoy 22 percent better profitability and 21 percent better productivity than their competitors. You can watch the video success story here.